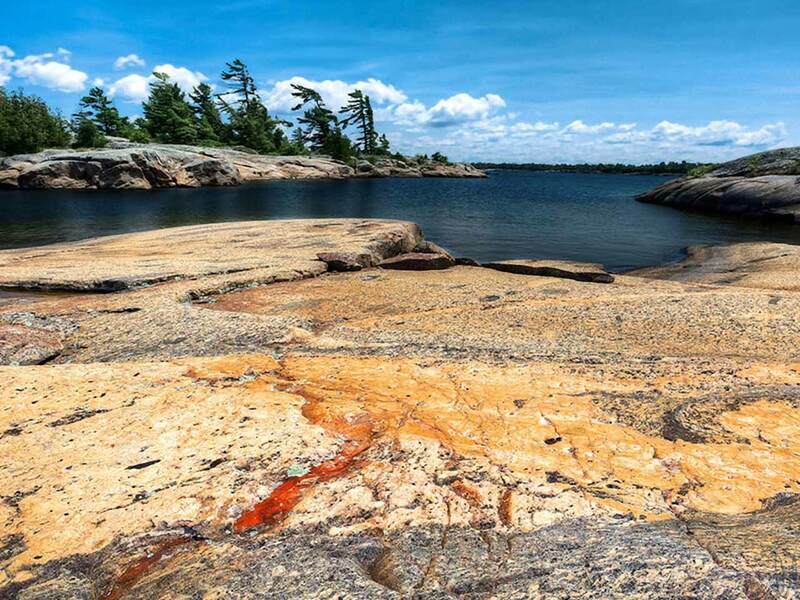 All aboard the Island Queen for a relaxing cruise through Georgian Bay’s charming inner islands. Our non-stop two-hour morning cruise is the cruise that started it all. Back in the late 1960’s our old wooden taxi boats would leave Parry Sound Harbour and, following the same meandering route that we follow today, take passengers on tours around beautiful Huckleberry Island. Back then the taxi boats would frequently slow down so the crew could throw loaves of bread and other grocery supplies into the water for waiting cottagers. These days we skip the grocery deliveries but we still slow down as we pass the charming summer retreats that draw so many generations of families back to this part of Georgian Bay. The windswept inner islands that give shape to the narrow channels and shallow waterways that the Island Queen meanders through on this tour are what many locals consider to be some of the most picturesque on the Bay. Get your camera ready for the Hole in the Wall!